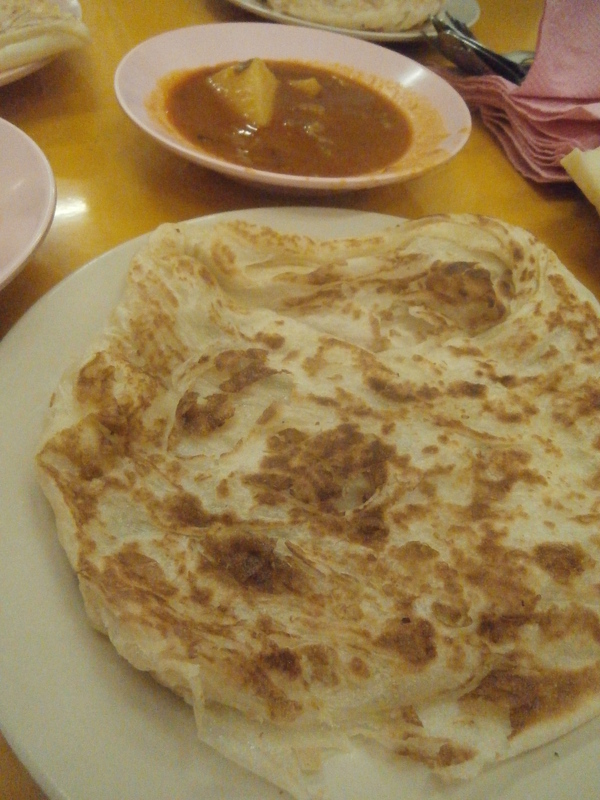 Roti Canai – I am pretty sure I could live on this stuff. Fried flat bread, a little bit thinner than naan, served with dahl. Sometimes we got chicken or mutton curry with it, but I preferred just the dahl. Bonus, one roti with dahl cost RM1 or about 30 cents. Laska – We got this at a food stall after visiting the Kek Lok Si Temple. Guess what? Anthony Bourdain also went here on one of his shows. Asian food stalls often only make one thing, so to stay in business they have to get very good at making that one thing. This food stall was no exception. This classic Malaysian soup there was very good. Holy Cow – It was at this same market we invented the Holy Cow. By this time we had discovered that we like Milo, a malted chocolate drink that is sold all over Malaysian and other Asian countries. At this meal we ordered a couple of Milos and a couple of Cokes to share. I took a drink of milo and then a drink of Coke and said, “Hey, this tastes like a Brown Cow” (a coke float with chocolate ice cream). Rand and the girls agreed and tried drinking both at the same time through two straws. Rand named it the Holy Cow. Our new favorite drink combination was born. Rand enjoying his first drink of the Holy Cow. Char Koay Teow – This dish is considered a Malaysian national favorite for a reason. Flat rice noodles fried in a very hot wok, giving them a charred smoky flavor. There’s other stuff in it, too, but it doesn’t matter; it is delicious. It was my favorite thing I ate in Penang. The best plate I got was at a place called Joo Hooi. Popiah – A spongy thin wrap filled with a cabbage mixture. I liked this more than Rand and the girls. 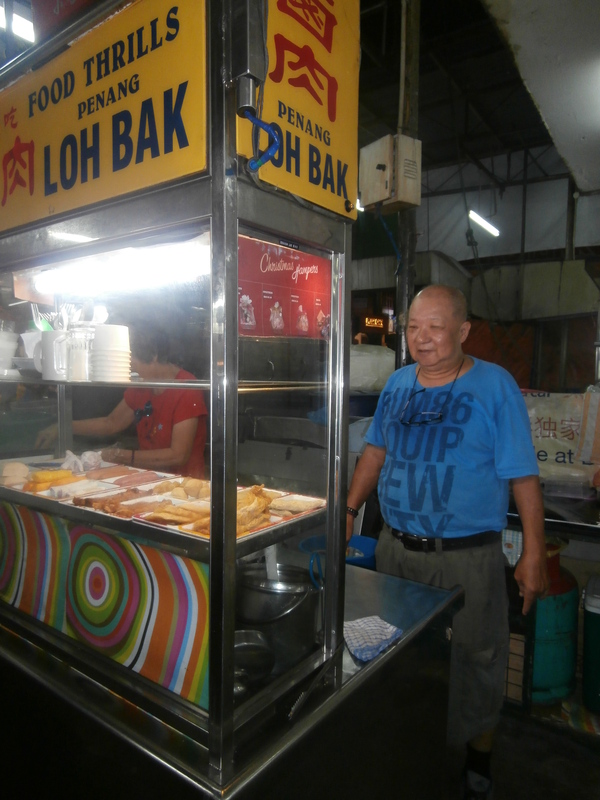 Loh Bak – A variety of items fried to order, served with a delicious sauce. Best if made by an adorable old man at a food stall. Toast – Malaysians mostly eat roti or noodles for breakfast, but one morning we weren’t in the mood for a savory breakfast, so we found a little toast place that served bread toasted over coals. We got chocolate and whole wheat bread with homemade peanut butter and kaya (a coconut jelly). 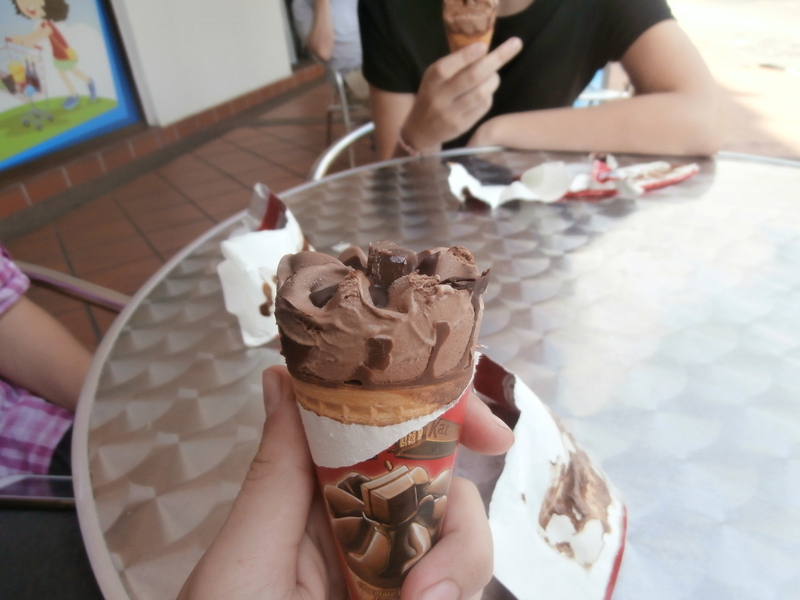 Ice cream drumstick – Southeast Asian heat can be brutal. Sometimes an ice cream drumstick just really hits the spot. Teksen Restaurant’s Chicken in House Sauce – Rand said, “Do you want to eat Texan food today?” We all looked at him skeptically. He took us to this Chinese restaurant that used to be a food stall called Teksen (pronounced like “Texan”). The meal there costs us more than most meals in Penang, but was worth it. Their chicken in house sauce was amazing. Chicken in Teksen house sauce – yum! Little India Ramadan feast – We went to Little India one night at Ramadan fast breaking time and got bunches of food from the stalls lining the street. Rices, curries, rotis all packed in bags that we took back to our guesthouse and ate carpet picnic style. Everything was delicious except for one thing that we thought was fried vegetables, but turned out to have a chocolate flavor, served with a tomato based dipping sauce. Oops, sometimes the language barrier leads to weird food purchases. Indian feast. It doesn’t look delicious, but it was. 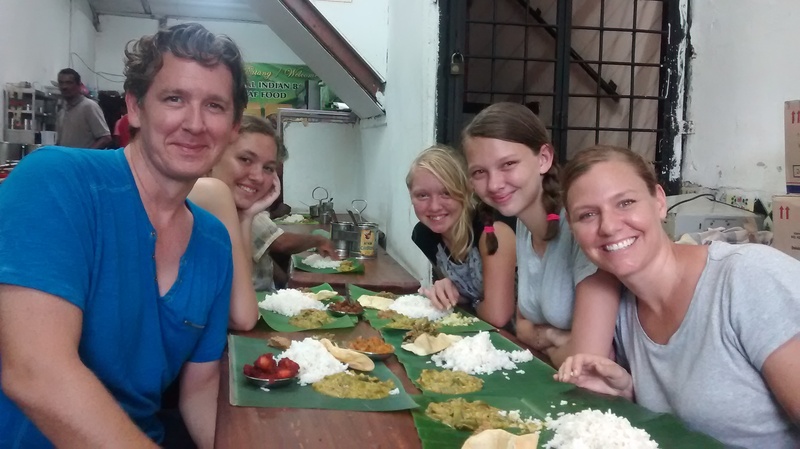 Banana Leaf Curry – There is just something about eating food with your hands off of a banana leaf. Five white faces walking into a difficult to find Indian restaurant created a bit of a stir. We got seats and a man next to us who spoke some English helped us order. 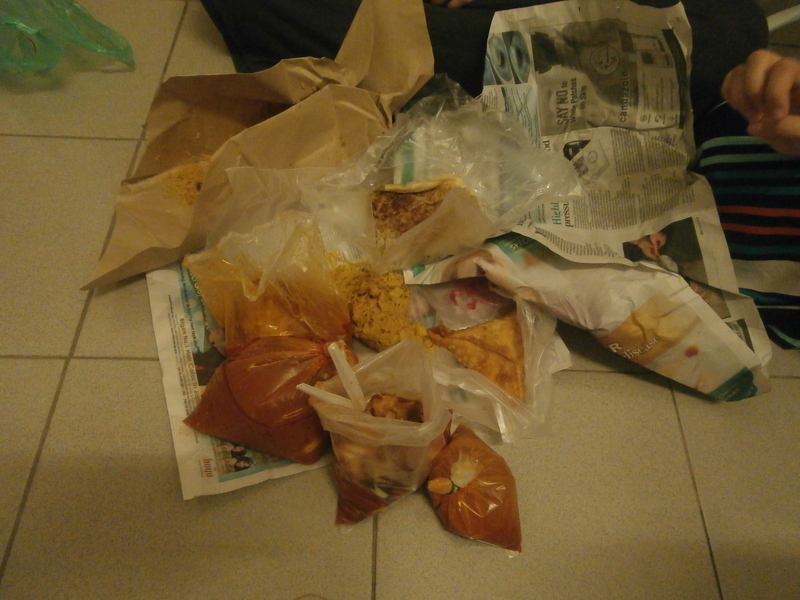 Still, due to communication difficulties we ended up with 5 orders instead of our usual three. We were stuffed after each eating a big helping of rice plus a variety of curries. 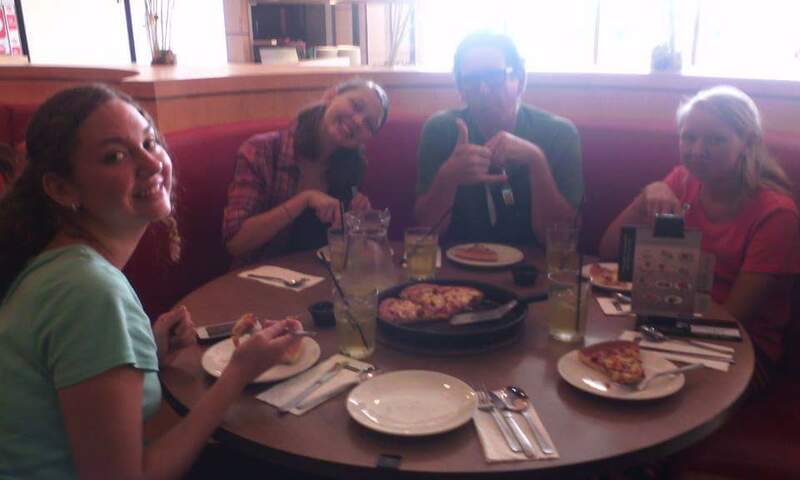 A dad and his two daughters sitting near us got a kick out of seeing us eat with our hands. 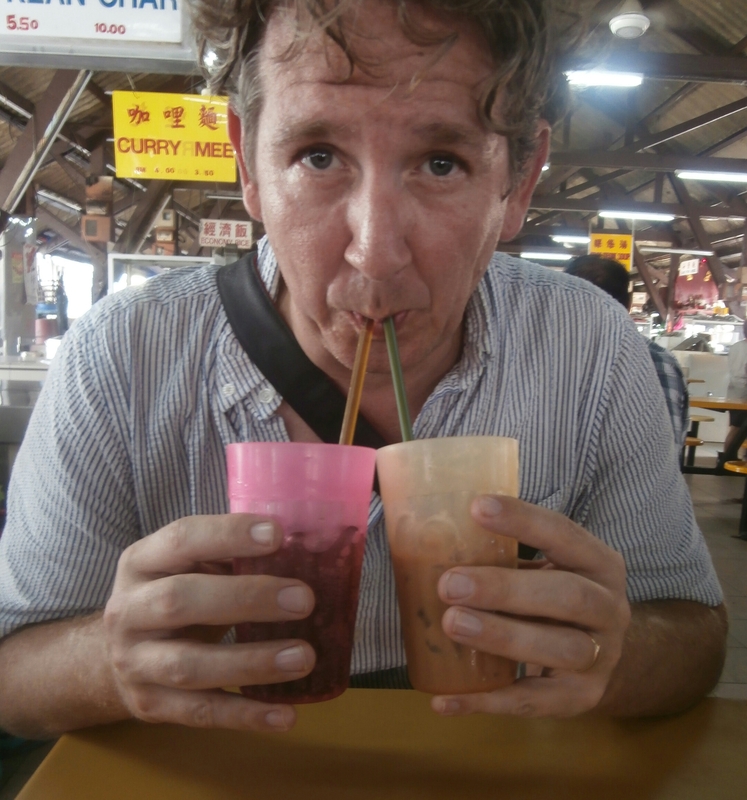 Wan Tan Mee – Rand and Sierra’s favorite Malaysian dish. Egg noodles served with wantons and pork slices. My favorite came with a dark soy sauce on the noodles. Now we understand why Penang, Malaysia is ranked as one of the best cities for food in the world. The food there truly was delicious.